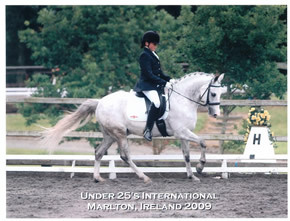 " He came back to the UK in 2003 after being bought by Samantha Harrison (British Dressage Pony Team Rider). When Samantha moved onto horses River was sold to her trainer Sonia Webster, from whom we bought the pony about three years ago. He is still kept at Sonia's yard in Derbyshire. 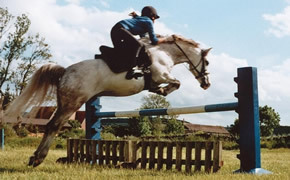 Whilst he was still Sonia's pony he was competed by Sarah Fitton who still rides him occasionally, doing WHP & Show Hunter just at a local level though he is good enough to compete at a higher level. 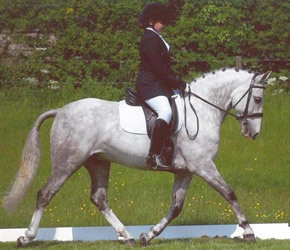 My daughter mainly does dressage with him He is at medium level and has represented BYRDS Northern region"
Gossip, by Peveril Peter Piper is shown in her first One day Event in which she came third against the horses over a 3ft 3 ins course. 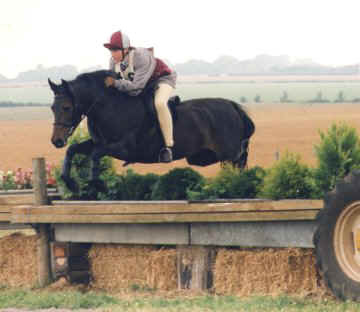 Later that same year she became the National overall Novice WHP champion at NPS Summer Championship Show at Malvern. 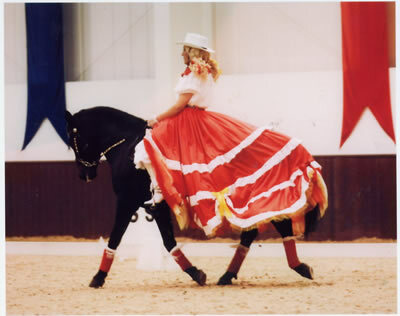 She has since qualified for the WHP Finals at the Horse of the year show. 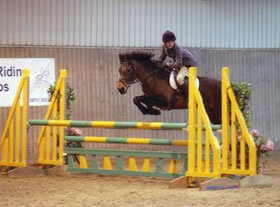 Branston is truly the most versatile pony. 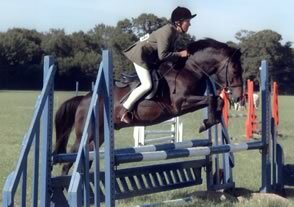 He is a performance tested stallion and has also had success in dressage , jumping and racing. at our boxing day Point ot Point He has a wonderful temperament that he seems to throw on to his progeny. 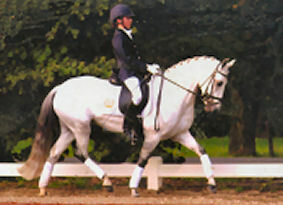 In the last few years he has been a stalwart of the Dressage team for the Enthusiasts and as pictured above was a member of the team that came 2nd in the National Quadrille Championships at Olympia 07. Mirage is now working at a very high level of dressage in Holland and belongs to the Molenaar family who originally bought her from me as a 2 yr old . Touch of Gold has been a consistent successful Team member in show jumping and cross country with her young rider Abbie Wilson. 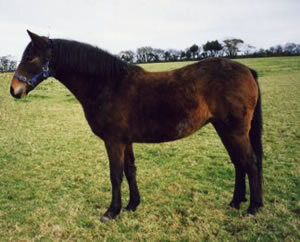 By Willoway Pipers Gold ex Gosden Teazel owned by Miss Beale. 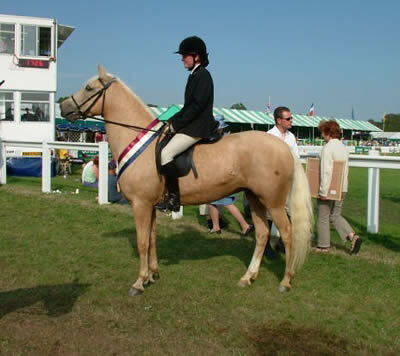 Gold Leaf turned out to be a very good jumping pony some of her successes include the Knightwood Challenge at the New Forest & County Show (see picture above), several jumping classes at the Breed Show and winning the show jumping award in the 04 performance pony competition. 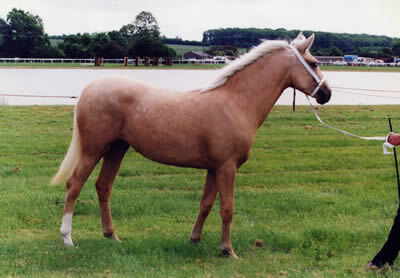 Traveller was bought by John Adams as a foal and was starting to show a great talent for dressage. 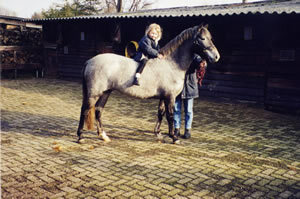 He was tragically lost as a five year old in a freak accident but has left some outstanding foals. Hollybrooke Rambler , Hollybrooke Tinker and Burley Timelord to name just a few. This page is under construiction.